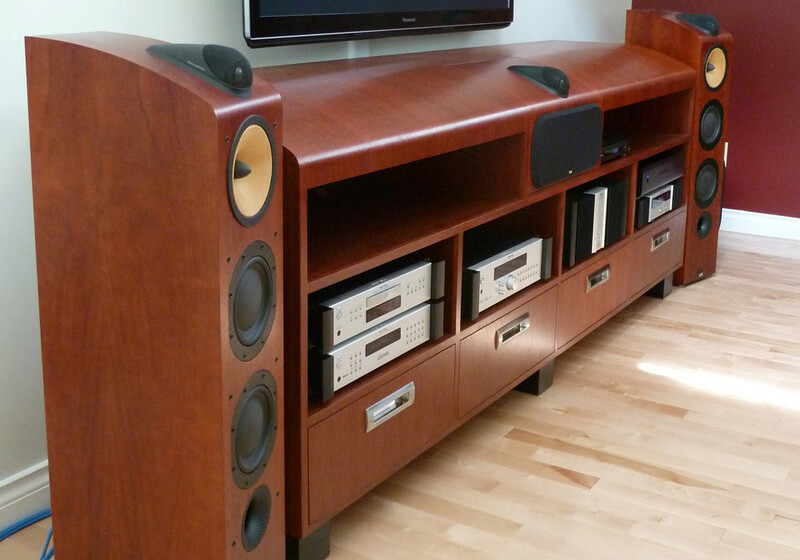 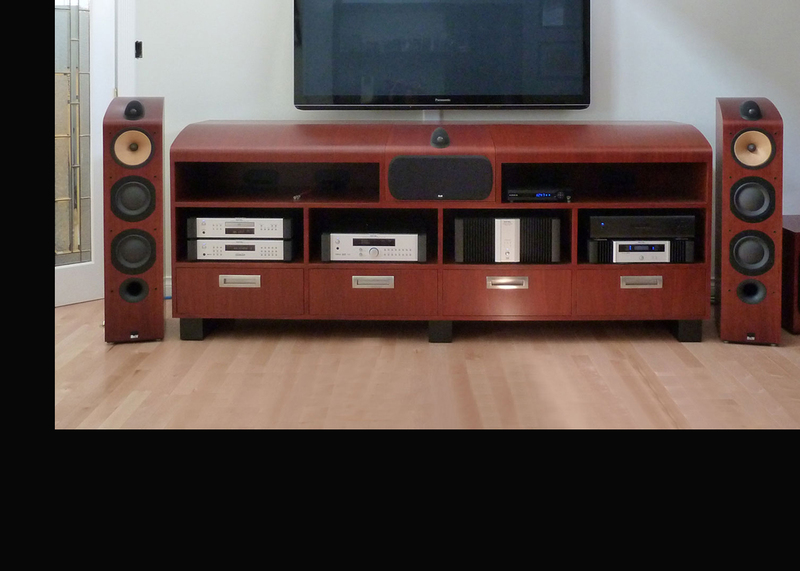 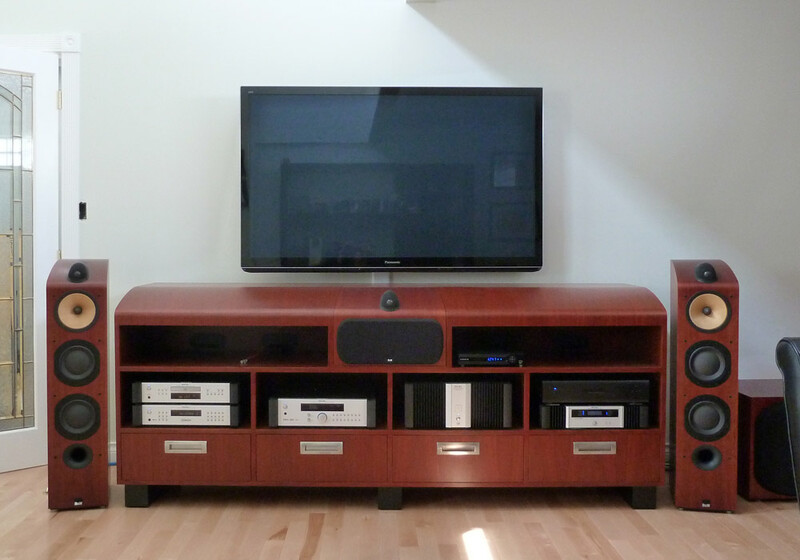 This project demanded that we match both the curve and colour of the centre channel speaker. 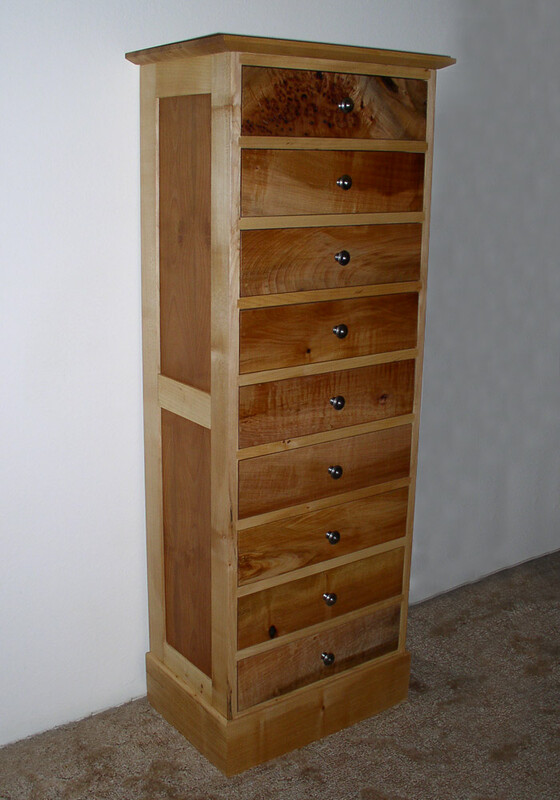 About 550 hours of care and attention helped create this piece. 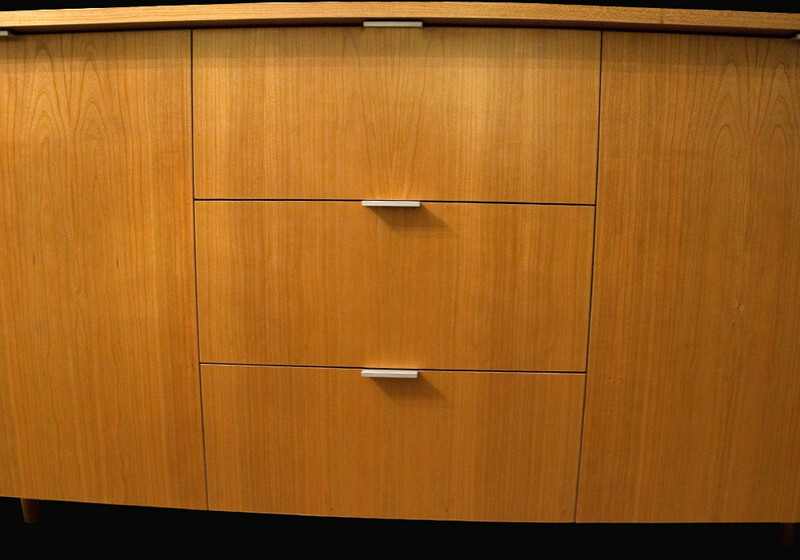 This is truely custom cabinetry. 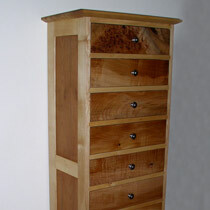 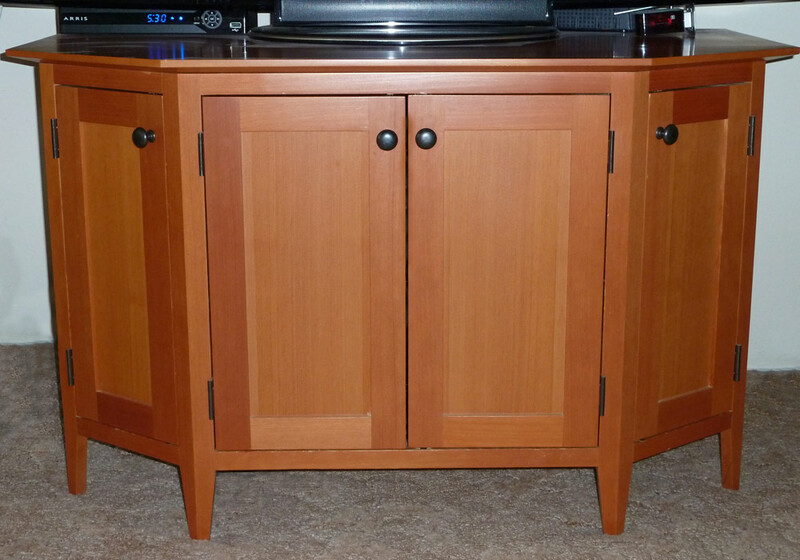 This piece is made form solid western maple and arbutus. 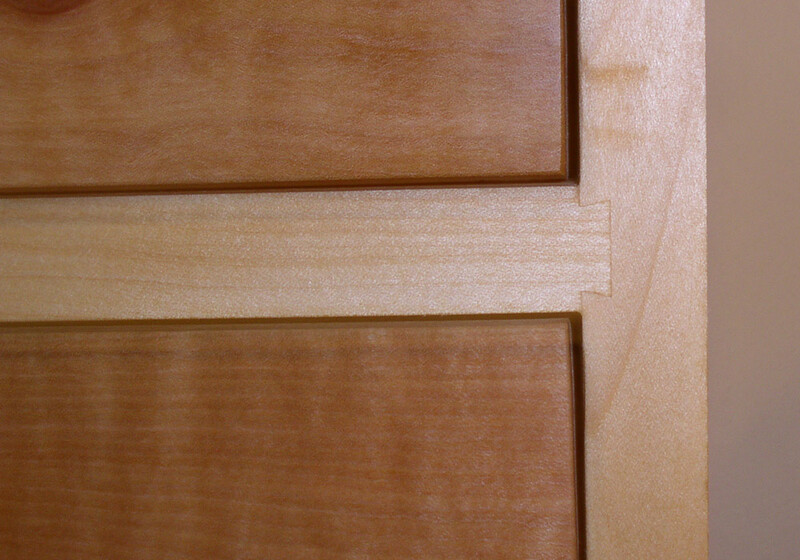 It features dovetail and frame and panel joinery. 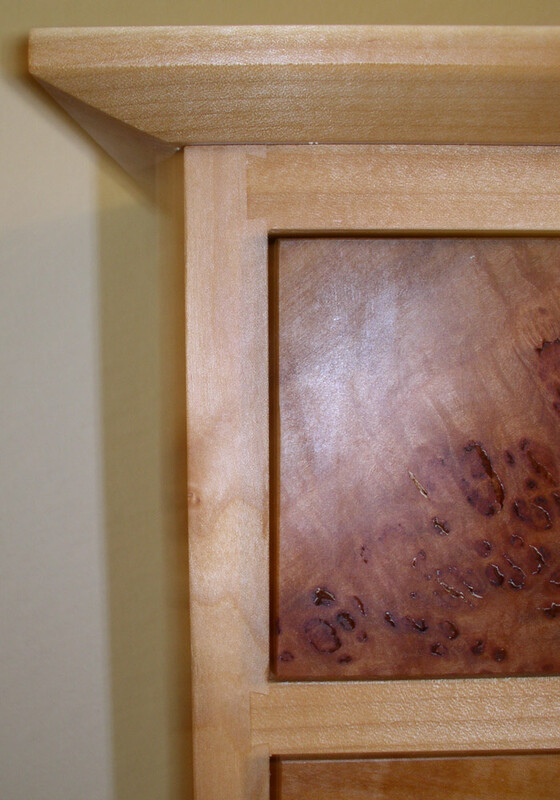 Clean, simple lines allow that natural character of the wood to shine though. 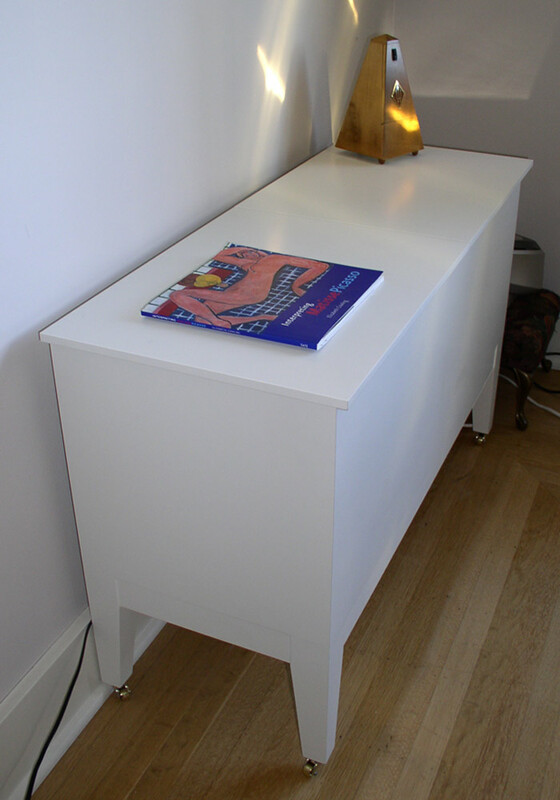 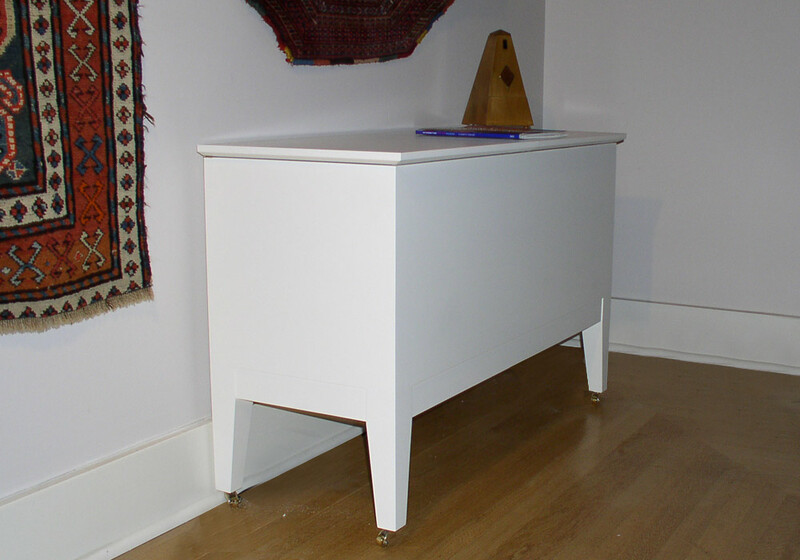 A simple elegant bench to house piano music book. 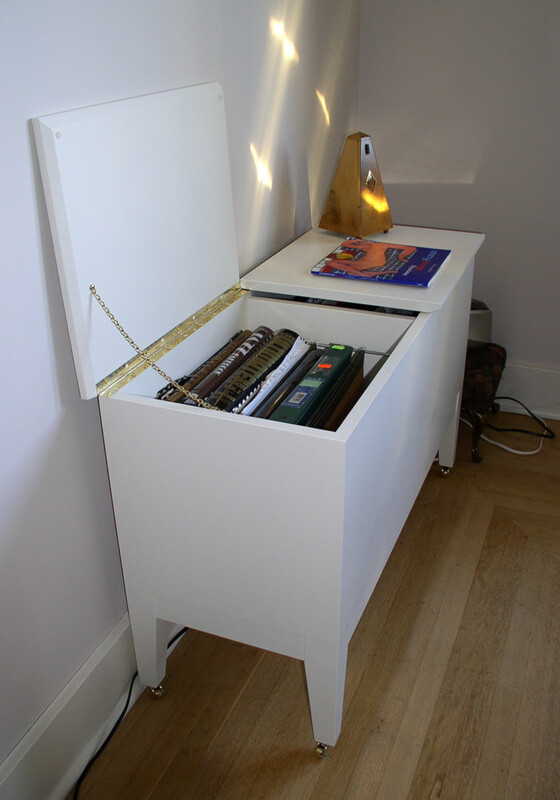 The top is bisected and each side will flip up, revealing hanging floders to hold the books. 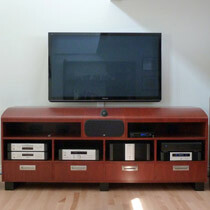 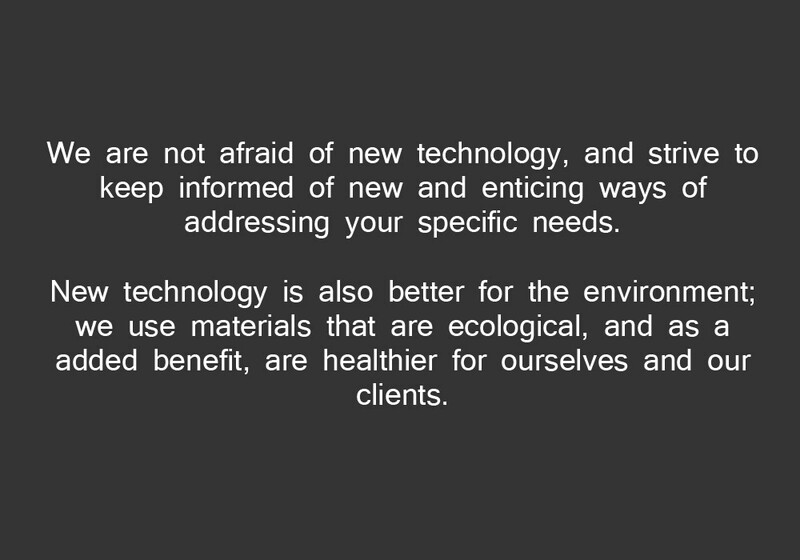 This was custom designed with the client's needs in mind. 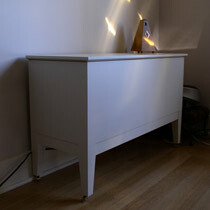 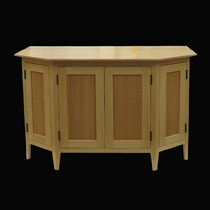 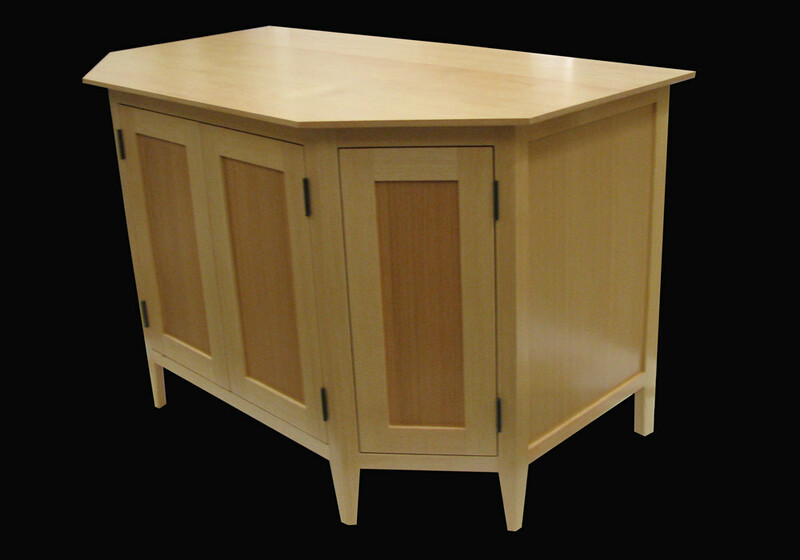 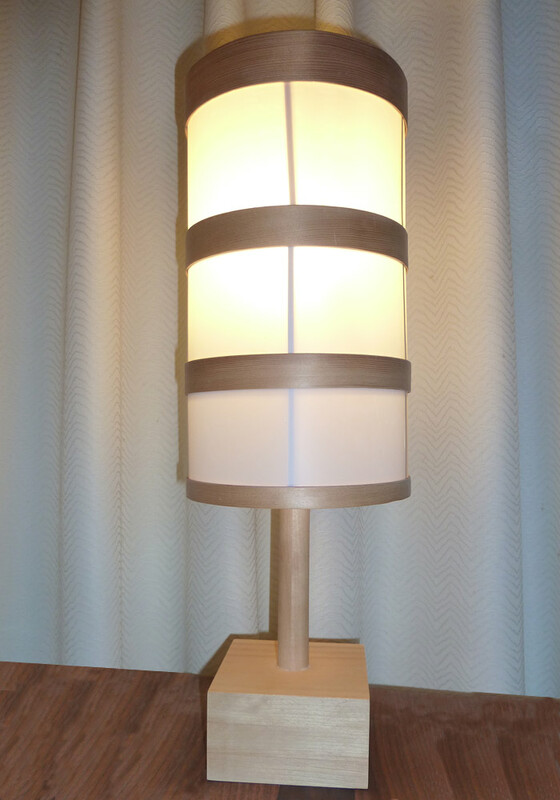 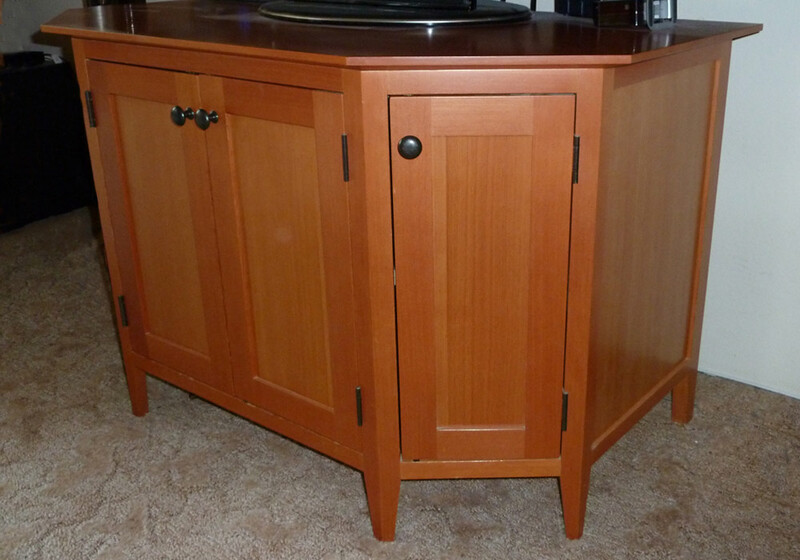 Built for a furniture show, this piece has clean lines and embraces the natural beauty of VG fir. 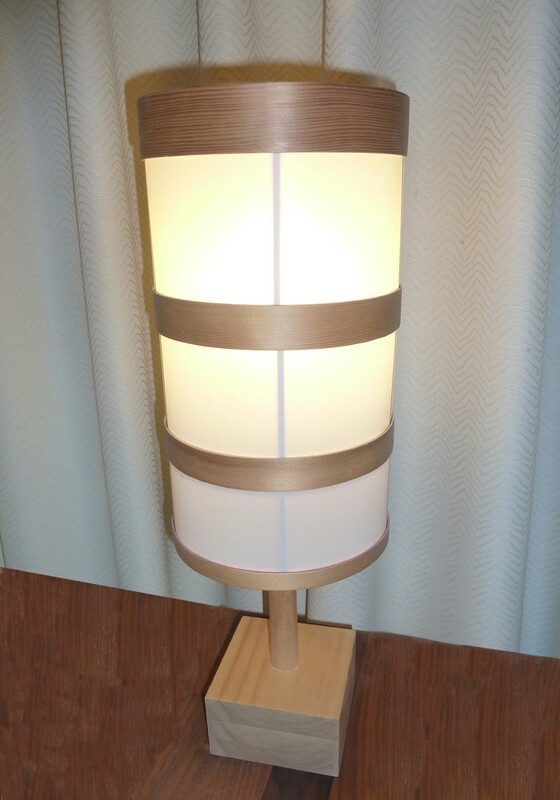 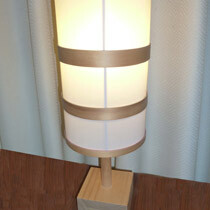 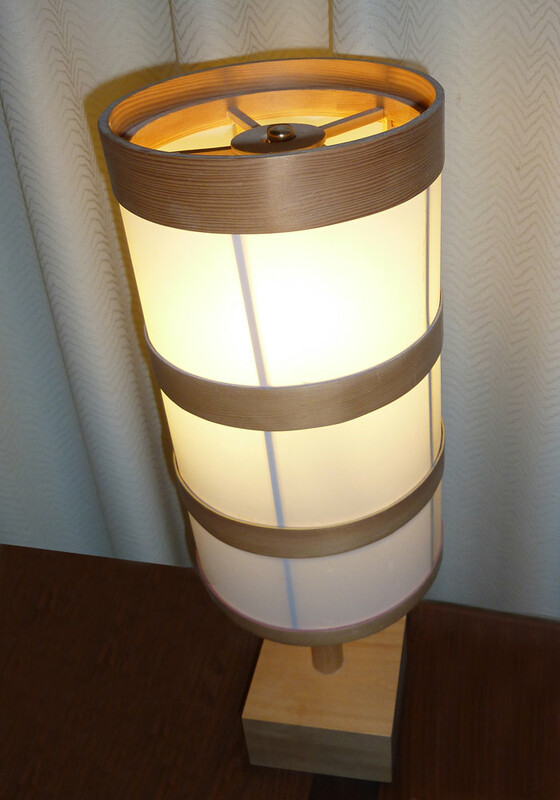 This lamp was inspired by a poster done by Herbert Bayer - during the Bauhaus movement. 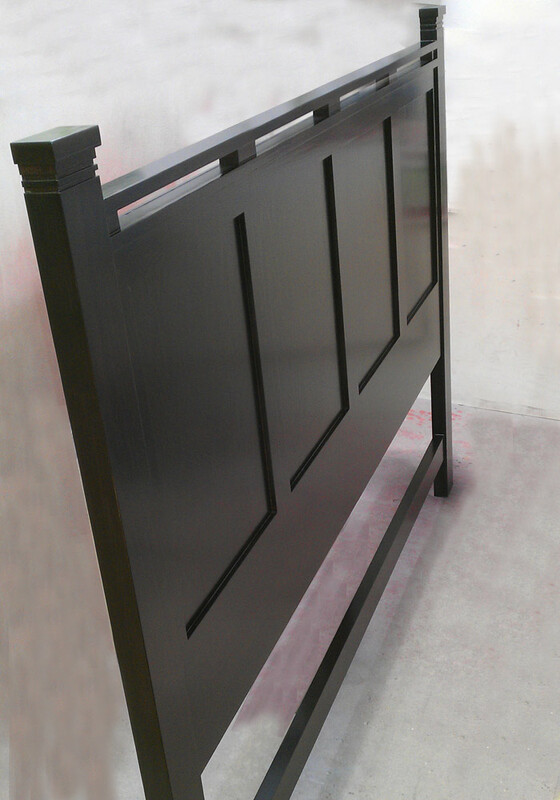 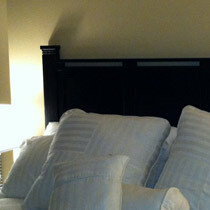 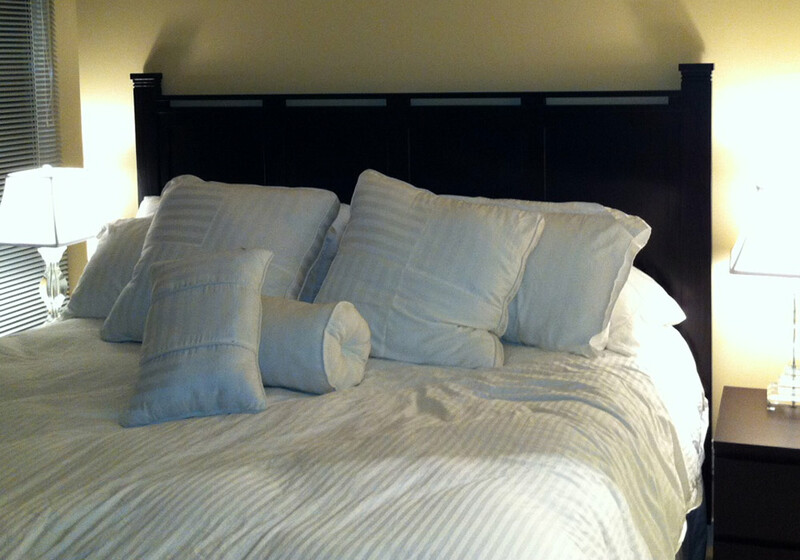 Subtle decorative elements add to this Arts & Crafts inspired headboard. 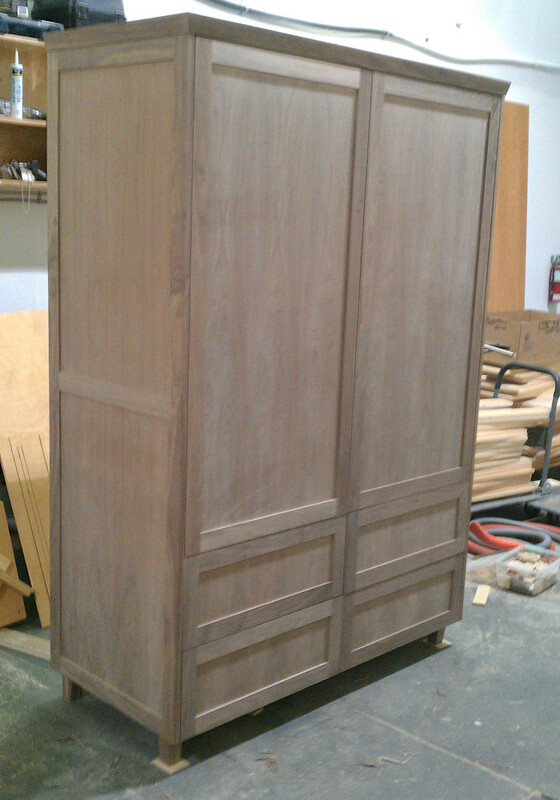 Solid ash construction, custom tinted to match existing furniture - shipped in a giant envelope. 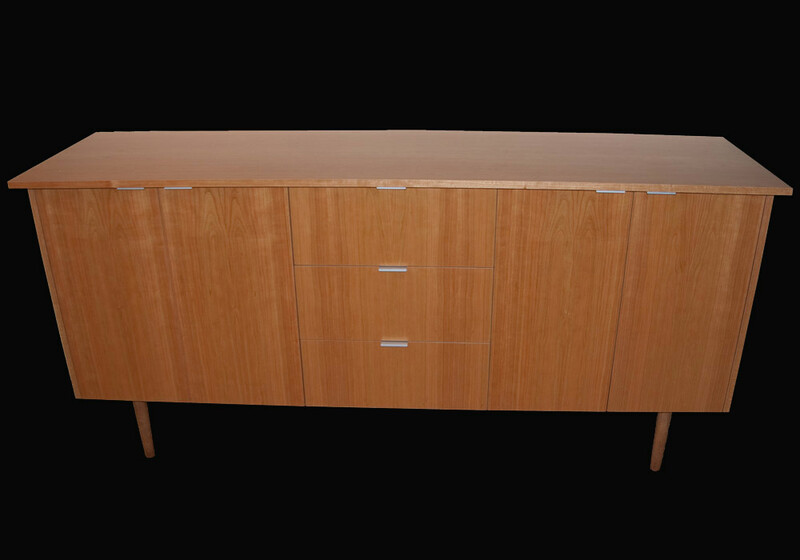 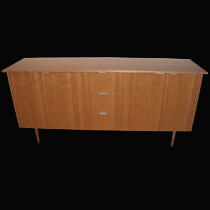 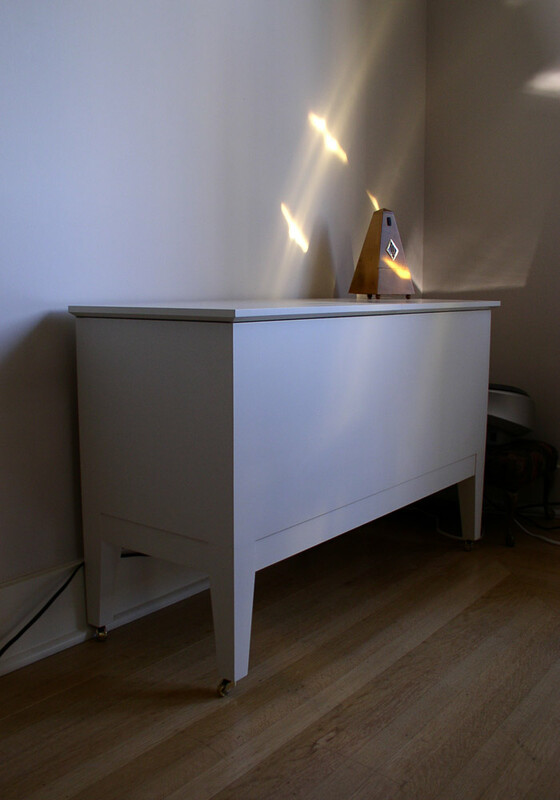 This credenza, inspired by Danish modern design style, is made from cherry veneered plywood. 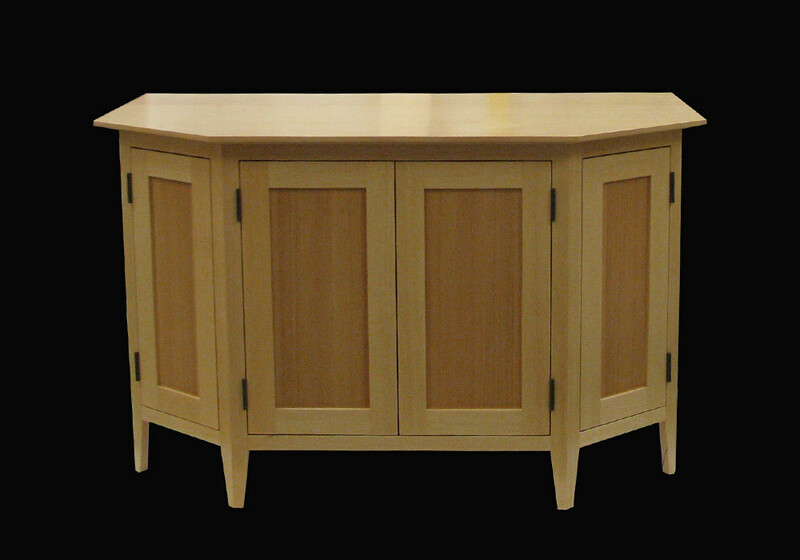 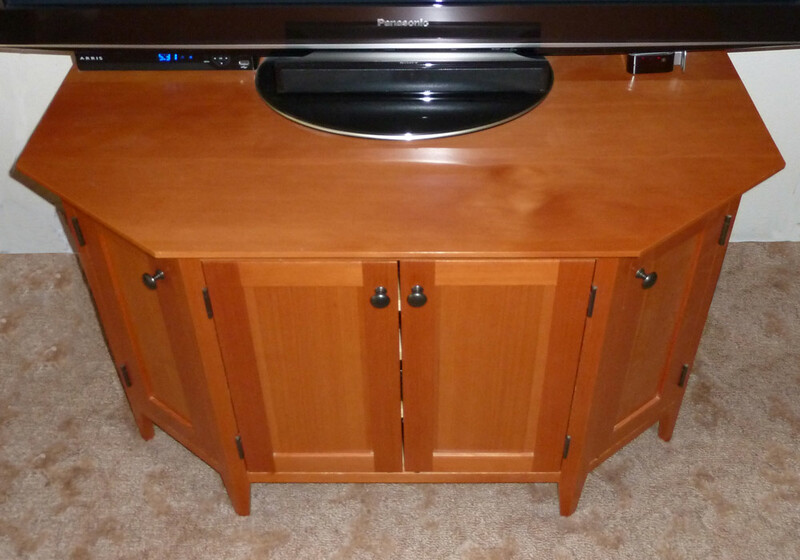 This piece can be totally customized to meet your specific needs and wants. 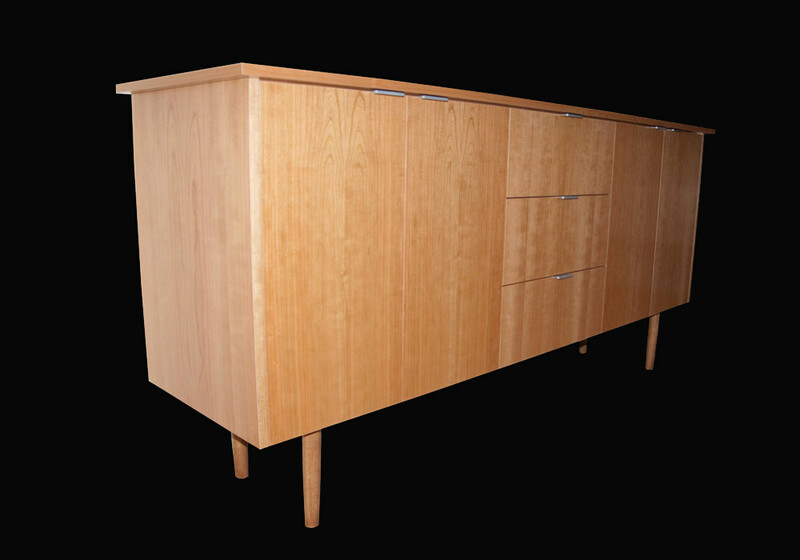 Change the wood or hardware, change the configuration of doors and drawers, change the size. 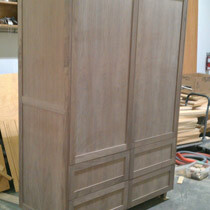 This piece is in the final stages of completion. 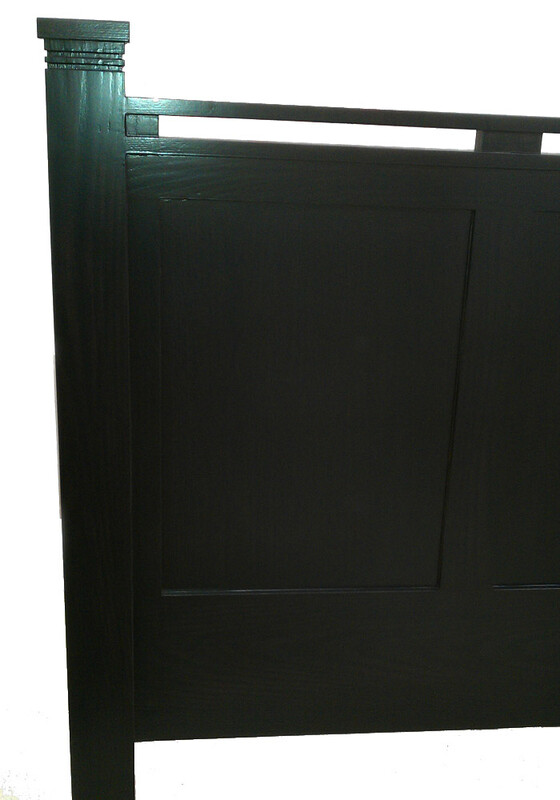 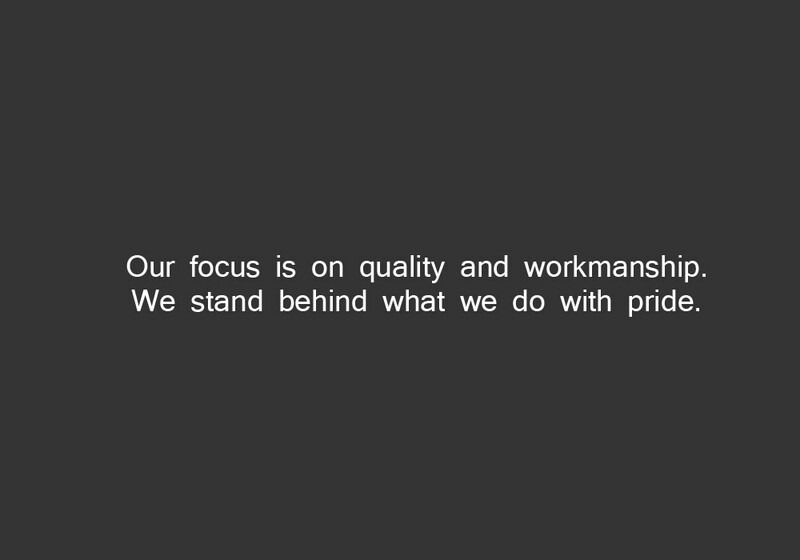 The image is in an unfinished state, assembled to ensure it is just right before applying finish. 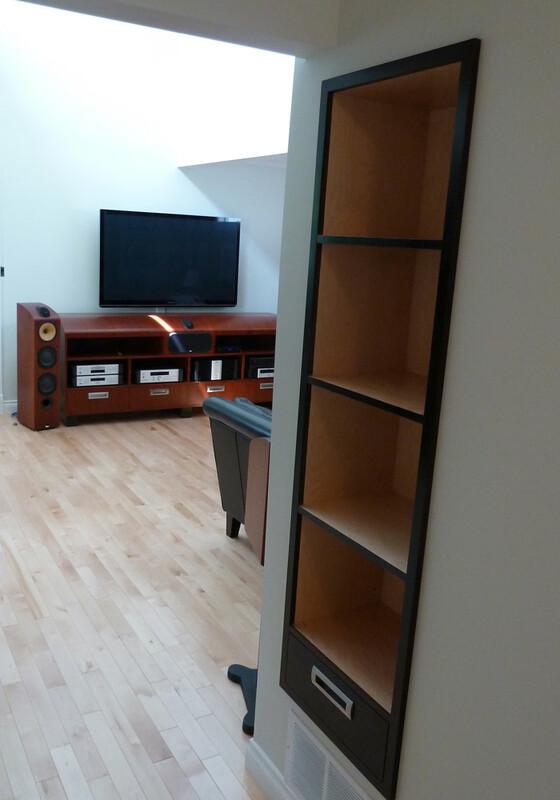 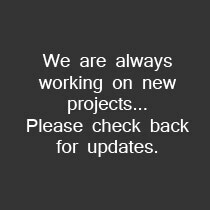 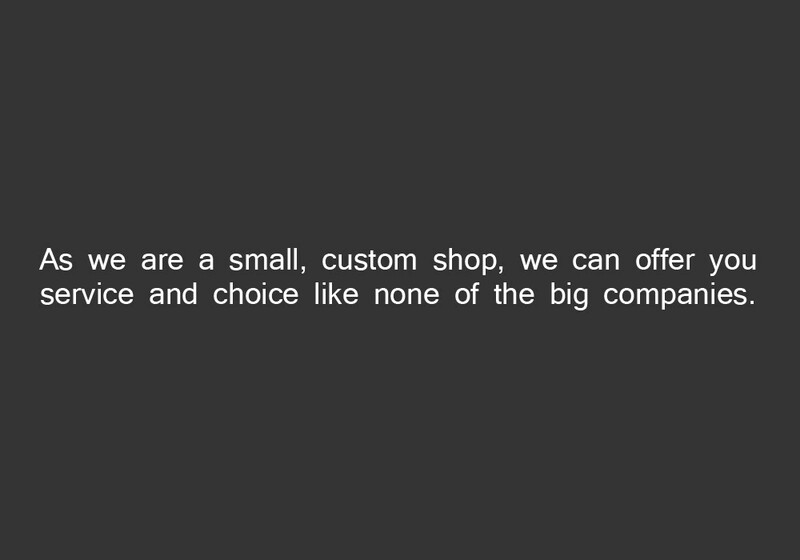 If you have a dream project, or a space that you can't find the right piece of furniture for, bring your ideas or challenges to us and we will work with you to find the perfect solution.